It's that time again! 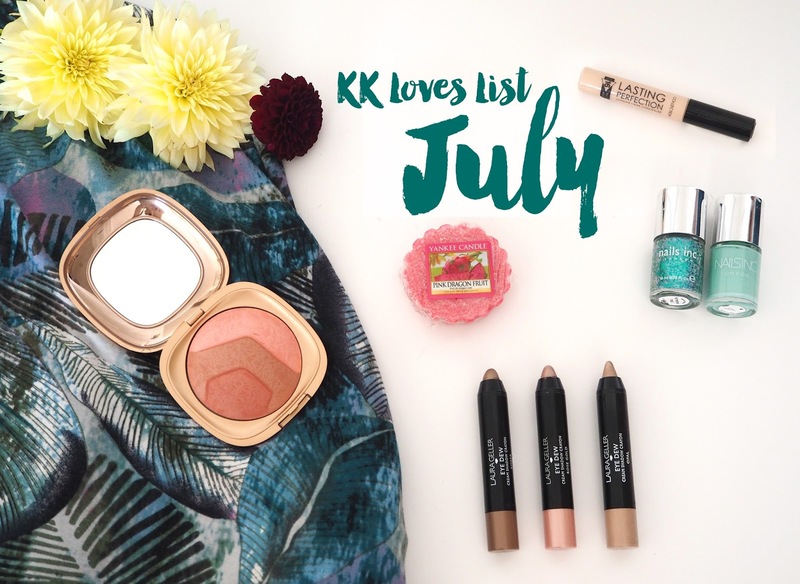 Time to run you through a list of items/products that I have been loving this month. Thank you to everyone who has been telling me how much you love these posts by the way, it's always great to hear your feedback and useful too! Kiko Milano Blush in Lust Coral | I picked up this limited edition Blush during my London Trip in Covent Garden. 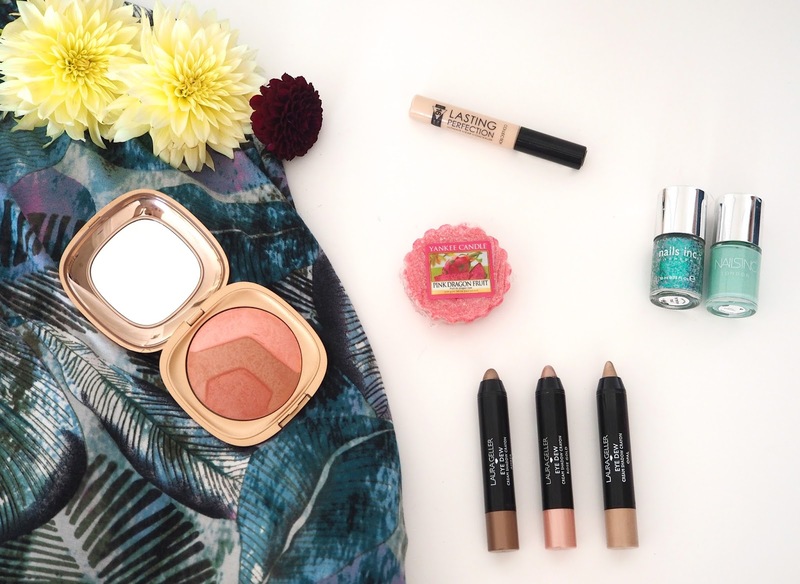 This is from Kiko Milano's Desert Dunes Collection for summer. There were 3 difference shades to choose from, each comprising of 3 different stripes of colour which can be blended together. I went for 01 Lust Coral which was the most neutral pink toned of the trio as I felt like it was the most wearable for my skin tone. 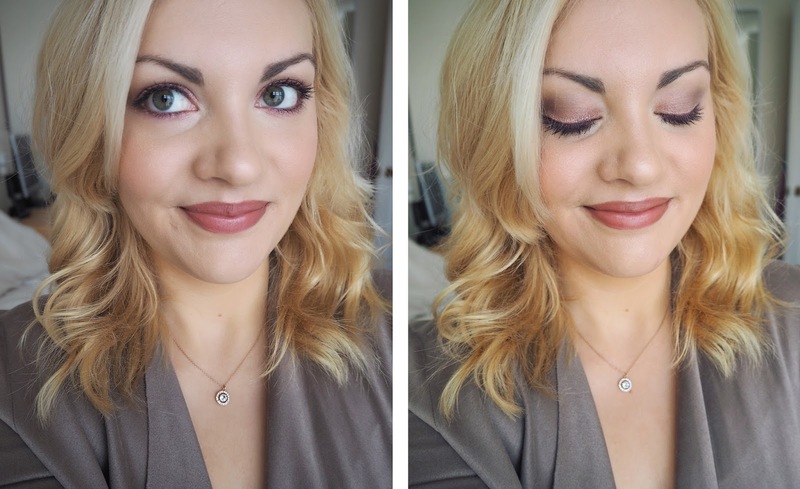 It's a gorgeous formula and texture giving just the right amount of colour for me. This blush compact also smells like vanilla which is a cute touch and makes it enjoyable to apply. The gold packaging is so pretty and feels more expensive than it actually is I think. I'm not sure if you can still get this item in stores but I have seen you can find it on eBay if you like the look of it! 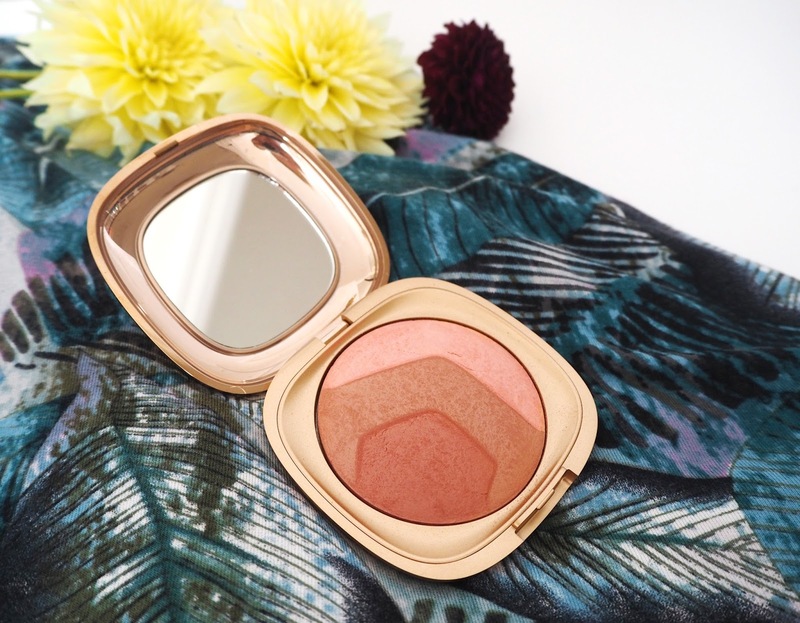 Otherwise Kiko do a lovely range of blushers in their core collection. Nails Inc Polishes in Cornwall Road & Fernshaw Road | You know how much I adore my nail polishes especially Nails Inc ones and these two where a favourite combination of mine this month. I really like this pastel aqua/duck egg shade right now and it matches really well with my new Kimono (discussed later in the post). Cornwall Road is a cream colour and Fernshaw Road is a teal sheen with glitter particles in, which I've been layering over the top giving a really pretty effect. Nails Inc are probably my favourite nail polish brand as they do great colours and exciting effects and I find them really long wearing. I think both of these were bought from QVC but you can almost certainly find the shades on eBay if you type in the names. 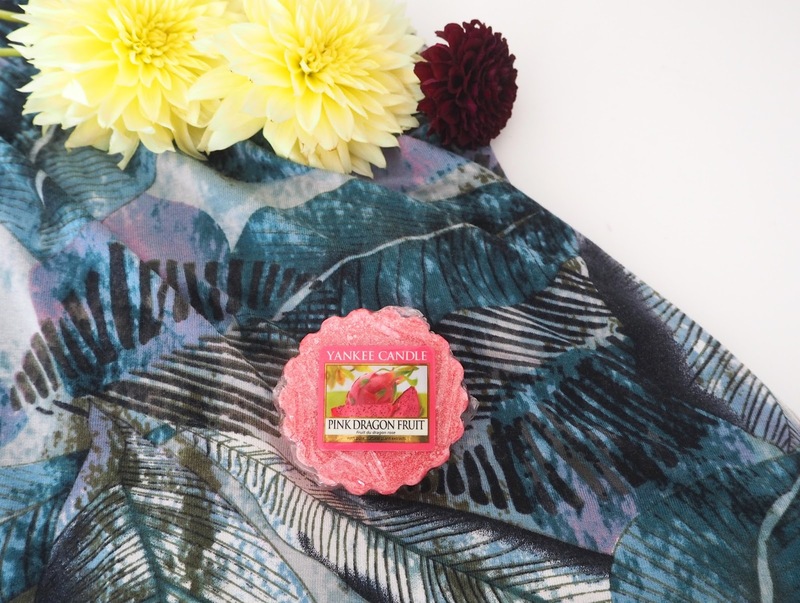 Yankee Candle Pink Dragonfruit | Every year I find this delicious fruity fragrance to be a summer favourite of mine! I burnt through an entire large jar of this bright pink candle in July and have loved the bright, tropical atmosphere it has created. You won't regret trying this beauty! Described as "Colourful and intriguing ... there's a lure of adventure in the sweet aroma of this tropical fruit". Find it on Yankee's official website here. 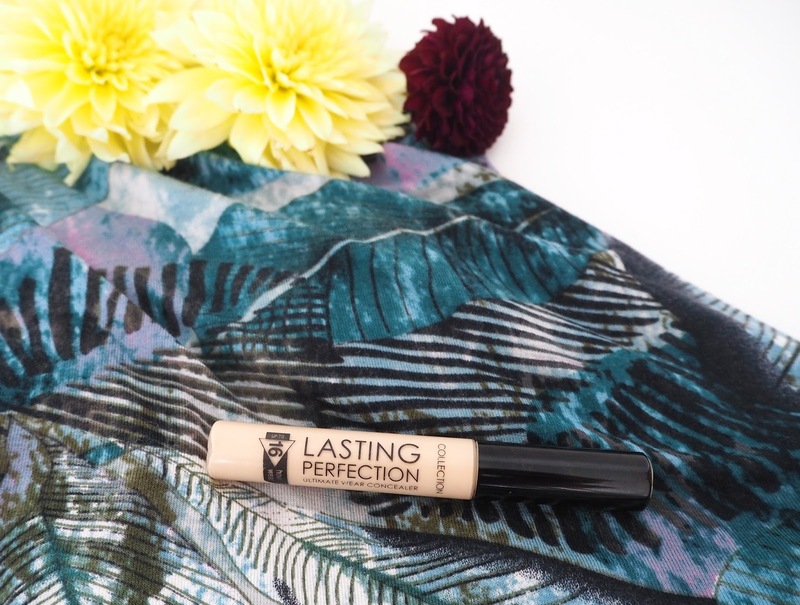 Collection Lasting Perfection Concealer | I rediscovered this little gem last month and have been using it in my everyday makeup routine ever since. As a makeup addict and beauty blogger I do like to try the new products that come out but sometimes you really can't beat an old favourite! This lasting perfection concealer has such amazing coverage, brightens under the eyes as well as working as a good spot coverer and blends out so beautifully with a brush or blending sponge without disappearing. 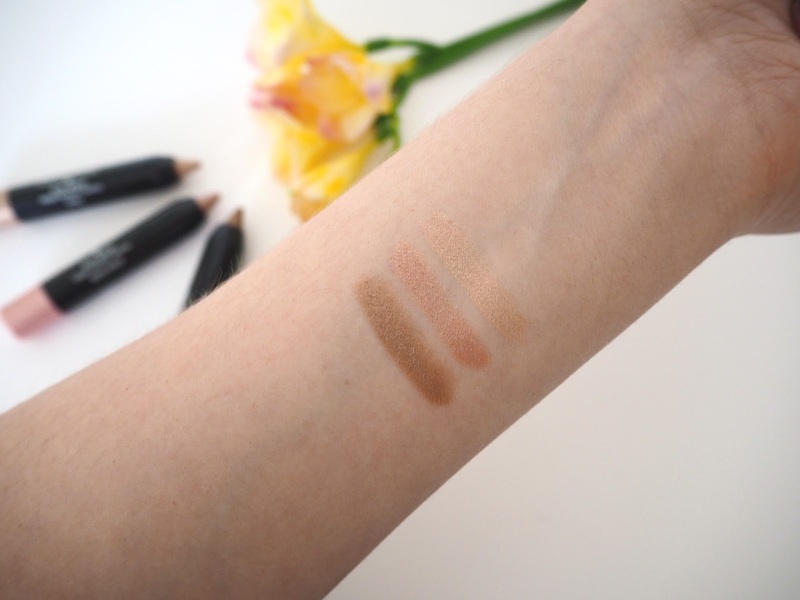 It comes in four shades, fair (my shade), cool medium, warm medium and dark and at a bargain price of only £4.19 it's so worth trying if you are looking for a new concealer! Highly recommended. 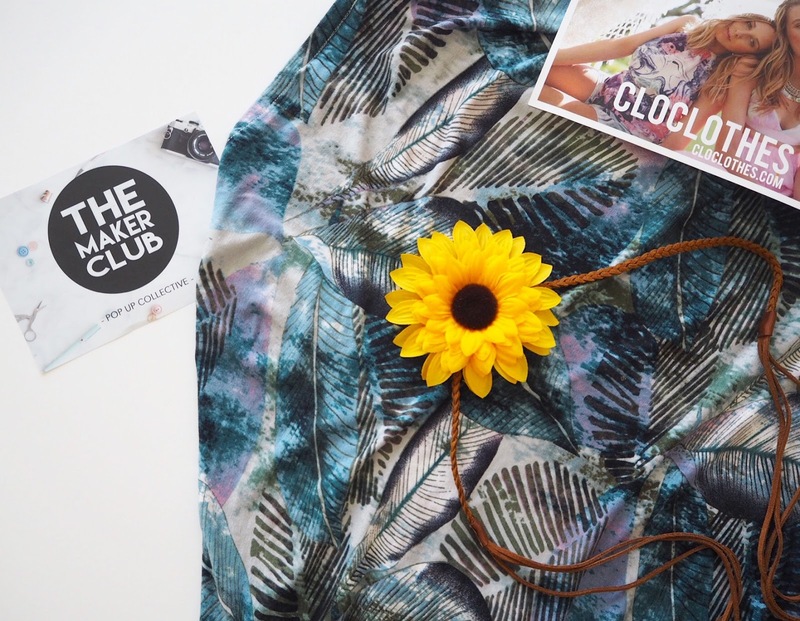 Palm Print Kimono by CloClothes | At the beginning of July I visited The Maker Club pop up event in Brighton. There was a wonderful selection of handmade goodies including clothing, accessories & homeware on display and I picked up this gorgeous palm printed Kimono from CloClothes. Each other Chloe's pieces are handmade and unique (usually only 3 of each design are created) and the prints she uses are divine, I was spoilt for choice! I like to have a Kimono as they're so easy to just throw on during the Summer months and make a pair of shorts and cami look like a 'put together' outfit. This particular one is definitely one of my favourite July purchases, I've been wearing it loads this last month! 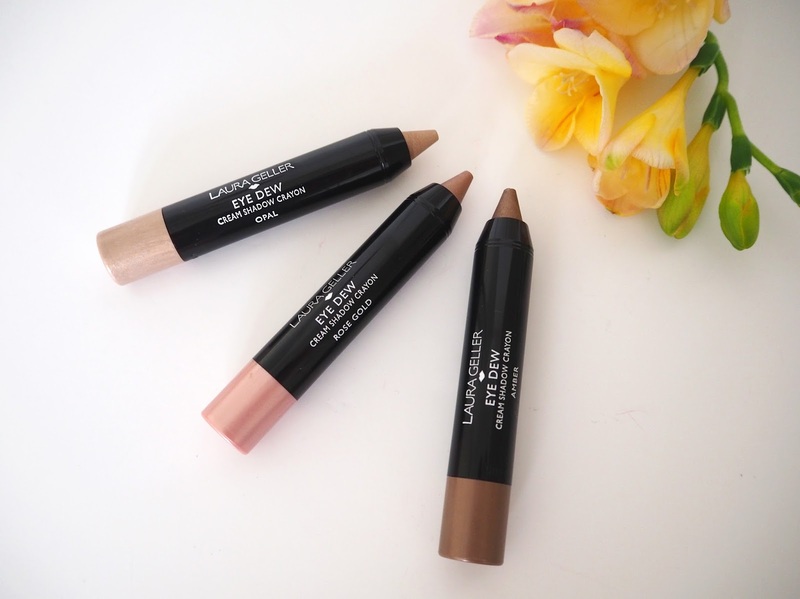 Laura Geller Eye Dew Crayons | These shadow crayons are a new addition to Laura Geller's makeup range. The shades are Opal, Rose Gold & Amber (plus Amethyst, Copper & Soft Metal which I don't own - yet!). I find the pointed end is perfect for precision work if you want to use it on the lower lash line and inner corners of the eye. They're so quick & easy to use with a beautiful shimmer finish. It really does cut down the amount of time I spent doing my eye shadow so ideal if you're in a rush or don't want to fuss with blending. I've found I've been reaching for these a lot. The shade I've been using the most is Amber which is a bronze/brown and really wearable. I'm wearing the Rose Gold colour in the pictures above which is so pretty (especially with green eyes I think) and the Opal is nice is the inner corners of the eyes and to highlight the brow bone. You can get the collection of 3 that I have from QVC here or you can purchase them individually from Beauty Bay, Debenhams and House of Fraser.